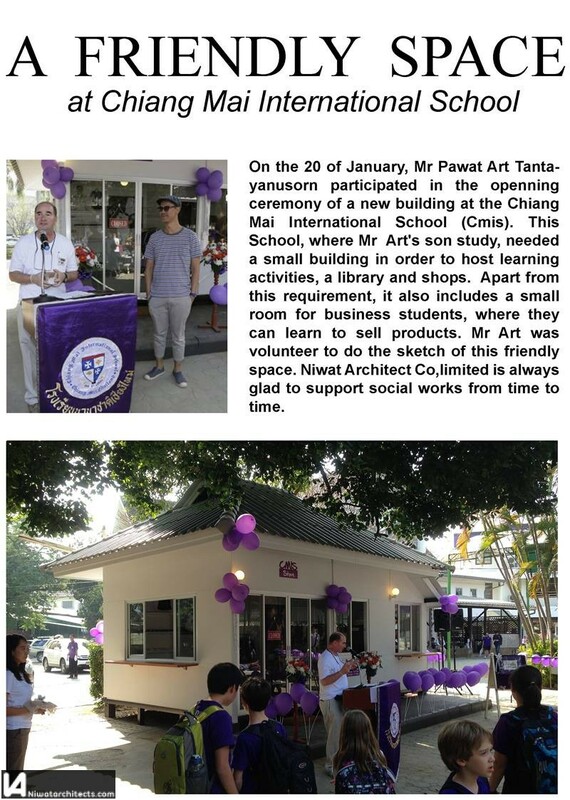 On the 20 of January, Mr Pawat Art Tantayanusorn participated in the openning ceremony of a new building at the Chiang Mai International School (CMIS). 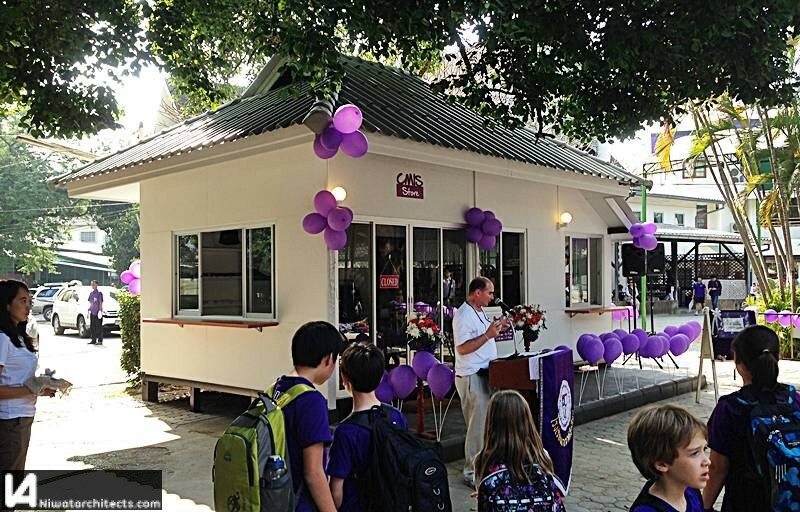 This School, where Mr Art’s son study, needed a small building in order to host learning activities, a library and shops, Apart from this requirement, it also includes a small room for business students, where they can learn to sell products, Mr Art was volunteer to do the sketch of this friendly space. Niwat Architect Co.limited is always glad to support social works from time to time.